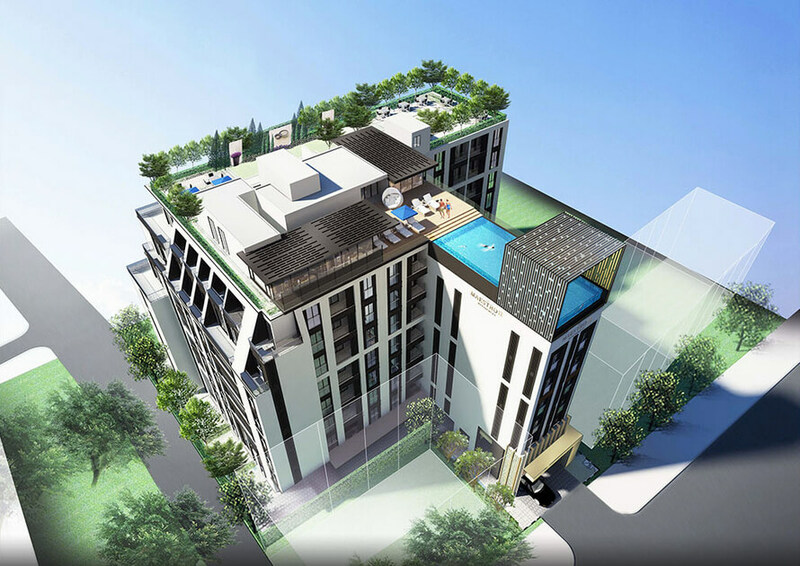 New and exciting Bangkok condo for sale! 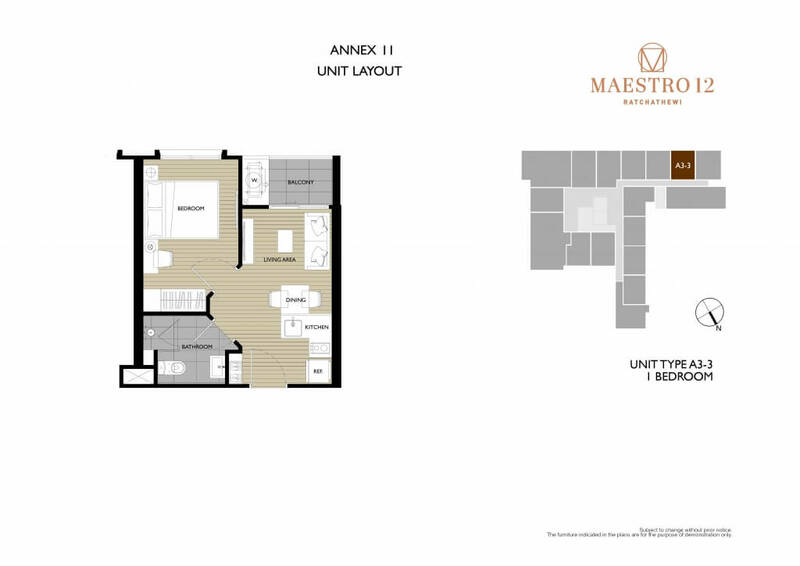 Maestro 12 is one of our hottest new offers for a low rise condo in the very centre of Bangkok. This is a perfect opportunity for those with a medium tier budget to enter the most central location just 250m from the BTS train at reasonable rates. Promotional launch prices available now with Full Furniture Package included for a limited time. 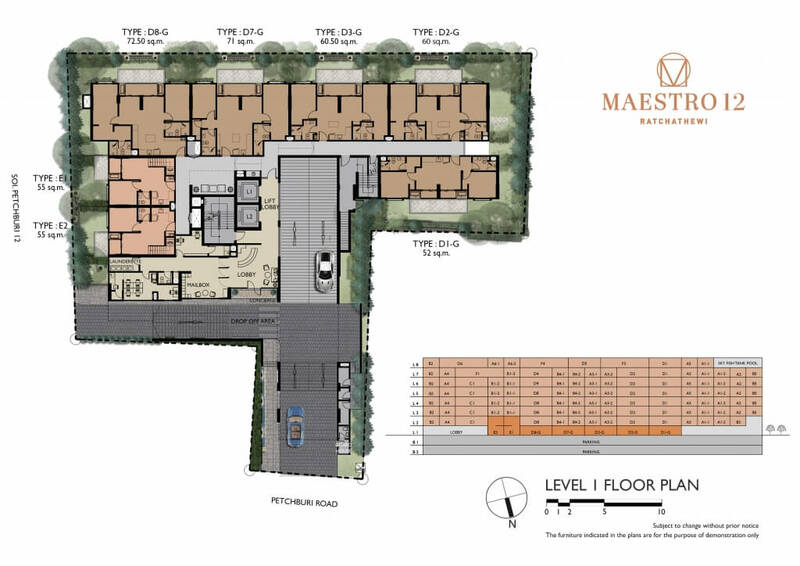 Maestro 12 is an exclusive low rise project of 8 floors containing just 121 residences. 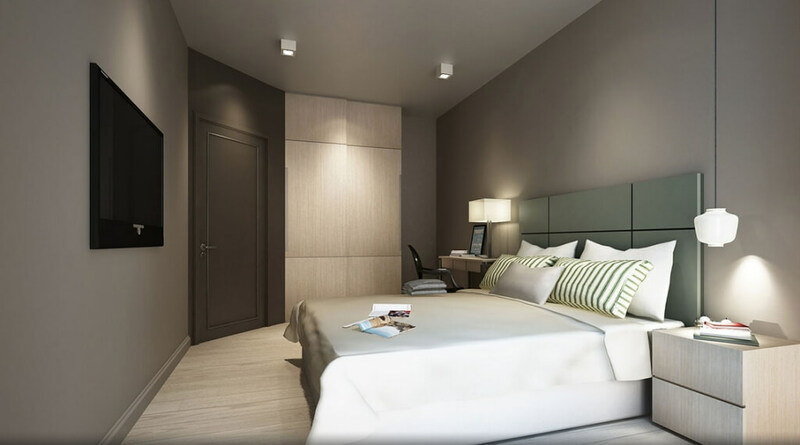 This project is built by one of Thailands leading PLC developers with a strong track record for delivering luxury property in the region. 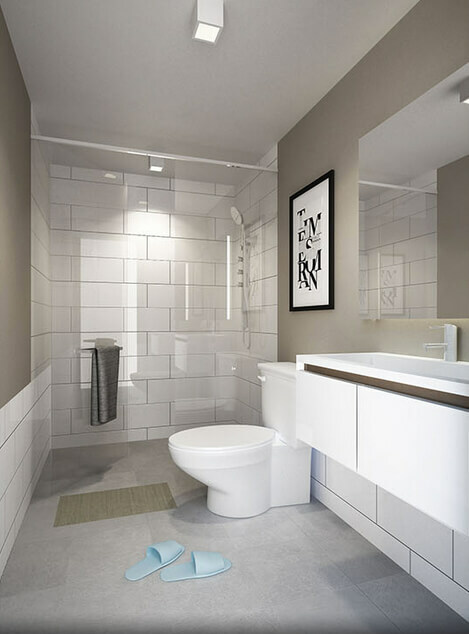 The theme of the exterior and communal space is a classic contemporary design but investors get the chance to decide which style of furnishing they prefer for their own interior. The choice is between “Mino” which is a contemporary Japanese style or “Milazzo” which is a classic contemporary European style. Facilities are fantastic with the key unique feature being a roof top “Fish Tank Pool” with a top to bottom glass wall. 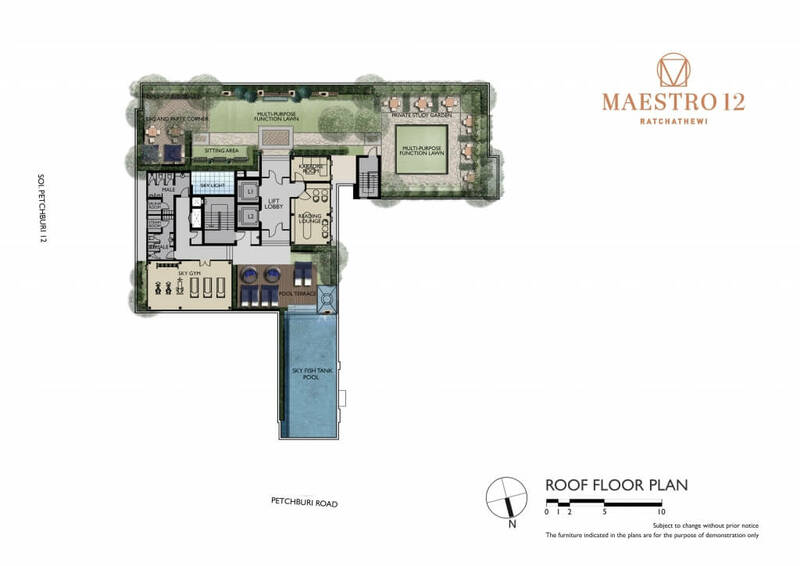 Most of the facilities are found on the Roof Terrace including Fitness Centre, BBQ area, Steam and Sauna, communal Function Room, Open Lawn and chill out areas. On the ground floor the stylish lobby links to a laundrette and mailbox area. 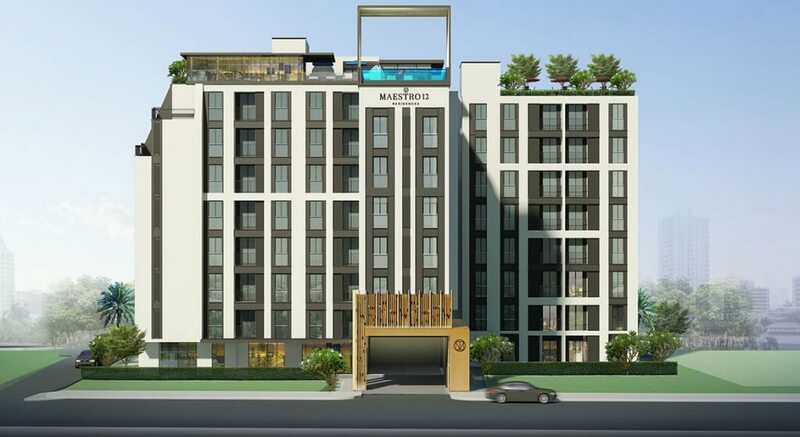 Maestro 12 is located in Ratchathewi, directly off Petchaburi Road and only 250m from Ratchathewi BTS. 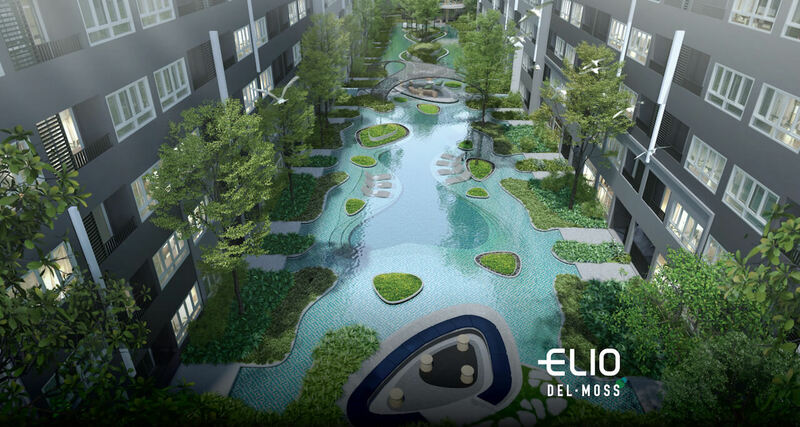 This is a perfect position because you are only one stop away from Siam BTS, where you will find the largest shopping centres Bangkok has to offer: Siam Paragon, MBK and Central World. One stop in the opposite direction you will find Phaya Thai BTS which is connected to the Suvarnabhumi Airport Link just a 30 minute journey to international flights! 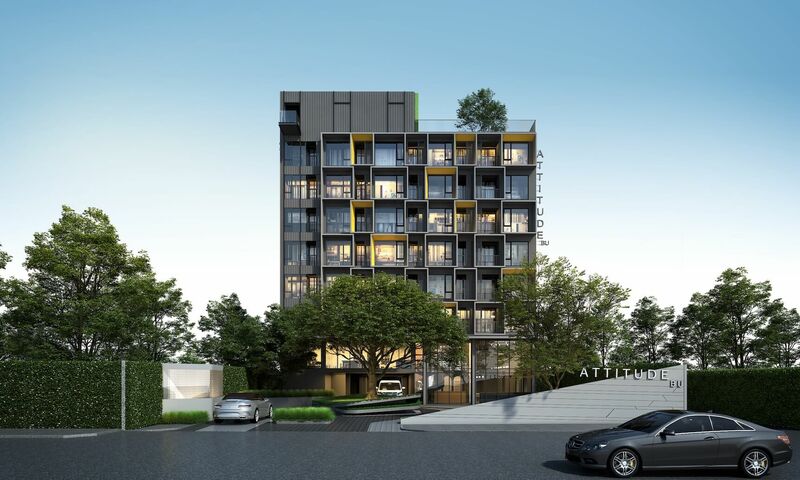 This project is in a highly desirable location in the heart of the shopping district with the most convenient public transport on offer.